For directions, parking info and a map of the festival grounds, please click here. FREE ADMISSION – ALL 4 FESTIVAL DAYS! Italian Lights is the Italian Festival of Nashville and admission is FREE! 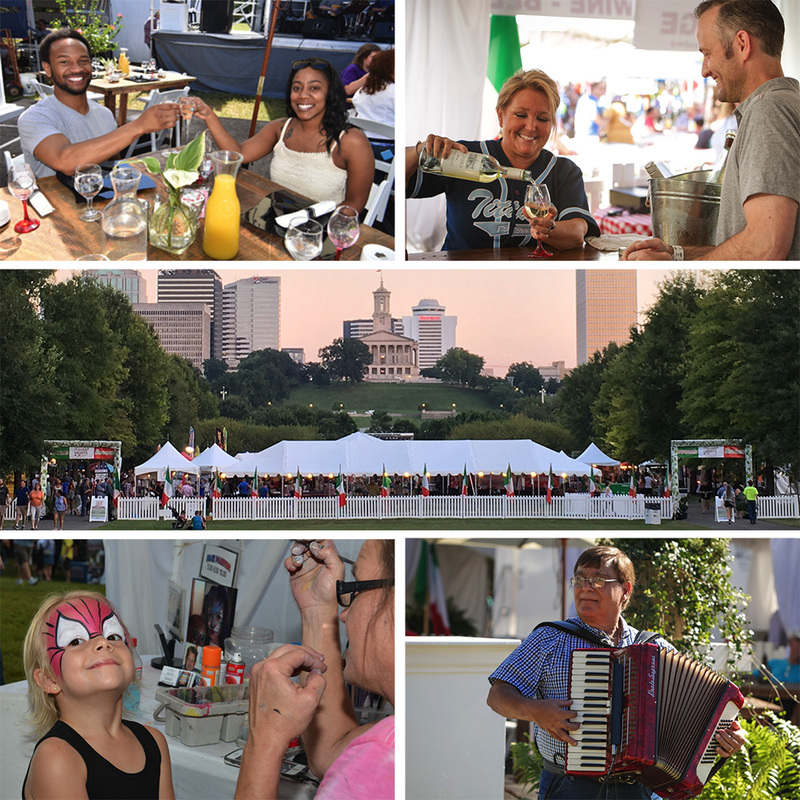 Join us for 4 days of music, arts, food and wine celebrating the best of Italy, ending with the largest Eclipse event in Music City! An elegant and family-friendly festival with free & fun activities for everyone! The highlight of the weekend is the 2017 Solar Eclipse, which will be on Monday, August 21. Nashville is in the direct path of the zone which will be 100% dark, and festivalgoers can experience the Eclipse from the lawn of Bicentennial Capitol Mall, a stunning, once-in-a-lifetime event! Over 1 million tourists are expected to travel to Music City to experience the “Music City Eclipse.” Admission to the Eclipse Party and Viewing is free to the public, and we’ll have over 10,000 pairs of free Eclipse Glasses, courtesy of the Nashville CVB and Tennessee State Parks. We are excited to be designated as an Official NASA Viewing Location for the 2017 Solar Eclipse here in Music City. NASA scientists (including two astrophysicists from the NASA Jet Propulsion Lab) and educators will be at the festival all weekend preparing for the big countdown on Monday afternoon. If you are coming to town for this event, this is where you want to watch it! 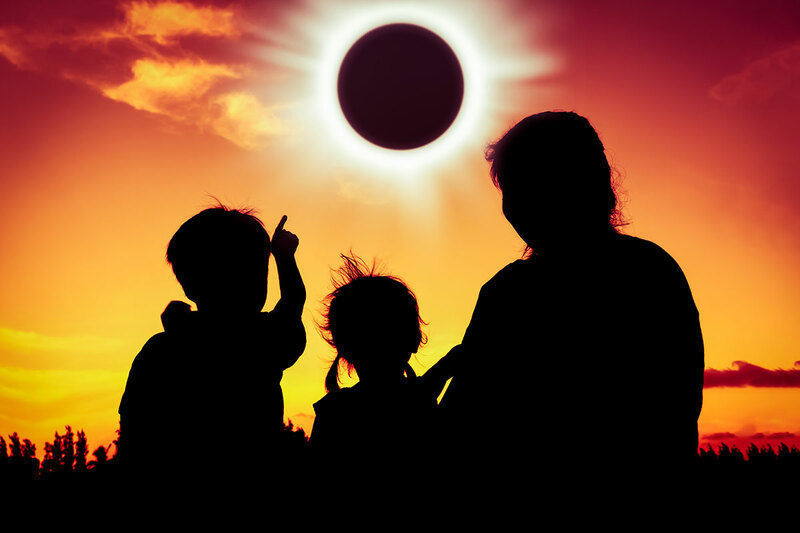 Learn more about our Eclipse activities and events here. 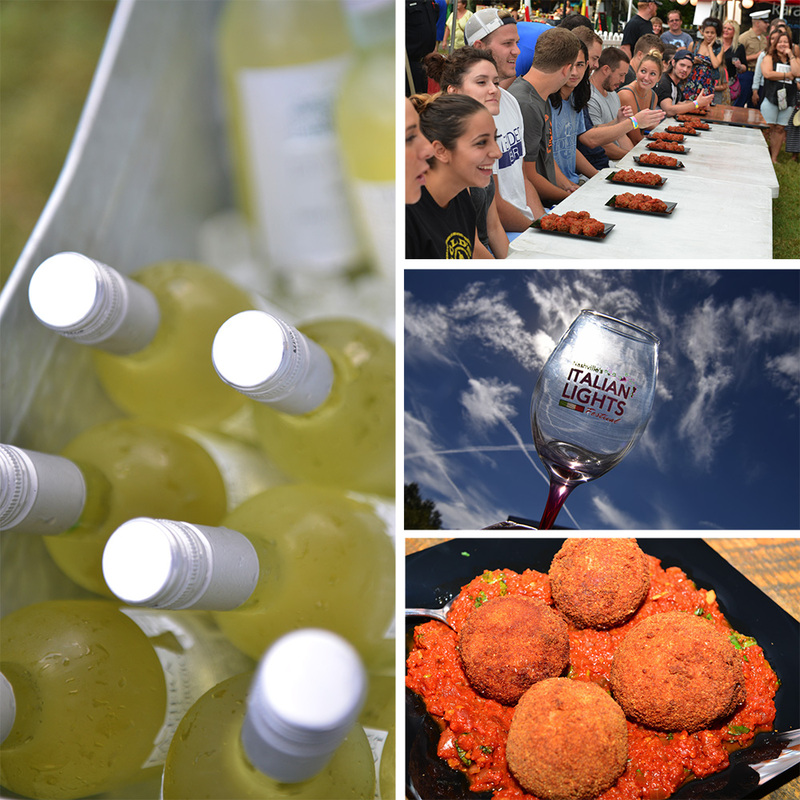 Festival favorites include free Grape Stomping, Wine Tasting Events & Seminars, the Annual Bocce Ball Tournament, the Meatball Eating Contest and the Grape Stomping Competitions. Additionally, special Italian food vendors will be featured in our food tents, showcasing favorite dishes from Italy . Wine & beer lovers will enjoy the international selections available in the Tuscan Wine and Beer Gardens. Music is center stage at the Italian Lights. The best part? It’s FREE ALL WEEKEND! 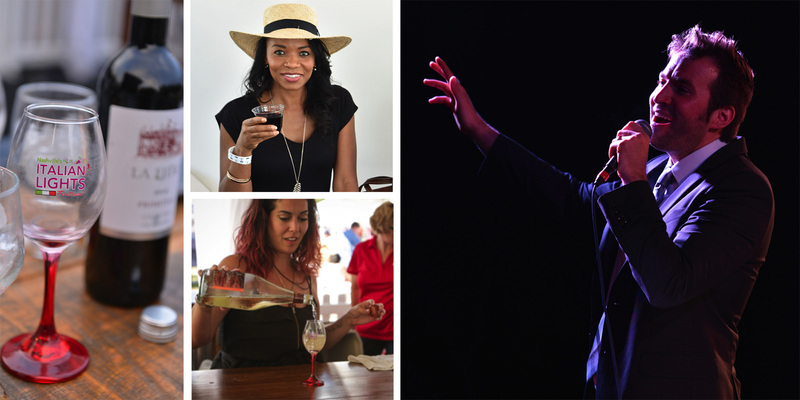 A variety of music and free concerts all weekend, highlighted by the Frank Sinatra Music Celebration on Friday night – and the return of television and recording sensation, Italian-trained tenor Nathan Pacheco, on Saturday. Sunday’s musical theme is “Italy Goes to the Movies,” with performances from Intersection and Ginger Newman. All evening concerts will be performed on the Amphitheater Stage! For a full schedule of all performances and musicians, please visit our music page: 4 Days of Live Music & Free Concerts. Dine under the stars of the Italian Lights for the ultimate dinner and concert experience: a Four-Course Wine Dinner, served in Bicentennial Mall’s majestic Amphitheater. Following dinners, guests will enjoy front-row seats for the evening’s Main Concert, also held in the Amphitheater. Book your tickets now for the pre-concert Four Course Dinner on Friday, Saturday or Sunday! More of a morning person? Then join us for our Sunday Champagne Brunch! Admission to the Italian Lights Festival is FREE! However, we also have VIP Tickets available for an upgraded experience, which includes complimentary food & drinks, and reserved VIP seating inside the tent for all music and concerts. These tickets are extremely limited, you may learn about all the upgraded benefits of VIP Tickets here. We are excited to once again feature a Kids Zone area – a great place for the kids to have fun while Mom & Dad enjoy the sights and sounds of Italian Lights. 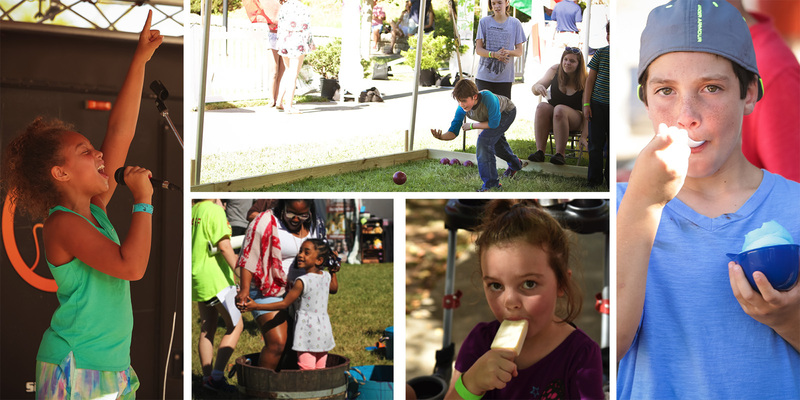 Lots of free activities for kids and families as well: Children will also enjoy free Kids Grape Stomping, and can even enter the annual Grape Stomping Competitions. This year, we’re excited to welcome Janet Ivey and the team from PBS’ Janet’s Planets. Janet’s Planets will offer fun educational events for children. all four days of the festival! A fun way to share the Eclipse excitement with your whole family! What’s a festival without artisans? This year the festival will feature some of the best local artists displaying their arts and crafts. From jewelry to rosary beads, from wood crafts to canned vegetables and produce, just to name a few. We are proud to feature a number of Tennessee Craft members at our festival. THE BEST PART? IT’S FOR CHARITY! To showcase a Nashville charity & community cause while raising funds for financial support. To bring together the sights and sounds of Nashville’s Italian community. To commemorate a historic side of Nashville that is becoming more popular again. Over the past 7 years, the festival has raised over $200,000 for local charities! In 2017, the Italian Lights Festival is proud to again benefit the National Restaurant Association’s Educational Foundation, ProStart. ProStart is the premier Culinary Arts Program for High Schools Students. ProStart gives students the exciting opportunity to learn about the art of cooking and managing restaurants by training with professional chefs and getting valuable classroom instruction. It’s also a way for students to earn college credit and make money while they’re in high school. 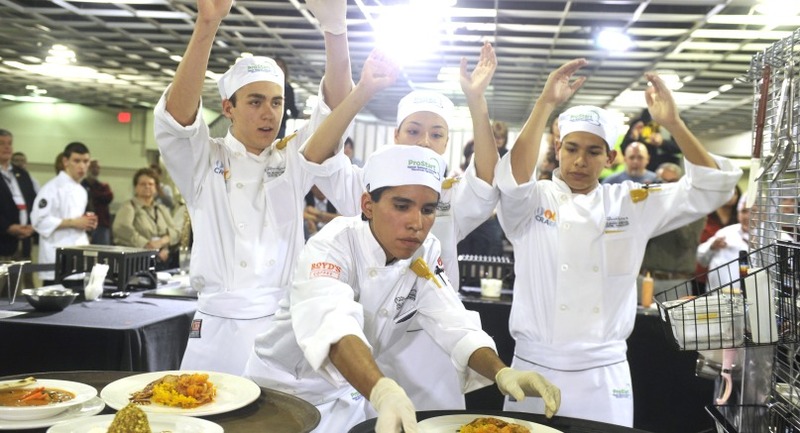 ProStart gives deserving students the tools and foundation they need to succeed in the culinary industry. Learn more about ProStart here.